New research from Barclaycard reveals that the contactless payment symbol is now recognized by the vast majority of British people. More than 80% of the public – nearly double the figure from a year ago – can identify the contactless symbol, with people in London and the North West the quickest to adopt the new way to pay. The Barclaycard research also highlights a shift in consumer spending preference, with 61% of people saying they preferred using cards over cash to buy items up to £20. 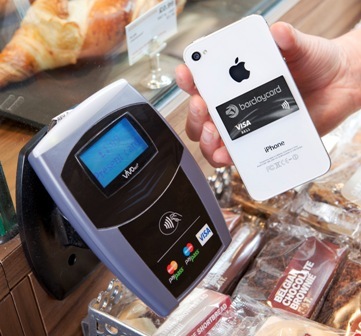 Until recently, one hurdle for the adoption of contactless has been a perception that the technology wasn’t safe. In fact, 75% of people didn’t know that contactless, like all card payments, are insured against fraud. When told that this was the case, more than four in ten said they would be even more inclined to use the technology with fewer than one in ten still having concerns. In contrast to people’s fears of electronic fraud, the most common way to lose money was forgetfulness. A quarter of those surveyed admitted that they had left their wallet or purse in a public place, losing all the money inside. Barclaycard added, given our absentmindedness results it would seem that carrying contactless over cash will be safer, cheaper and more convenient for many people.